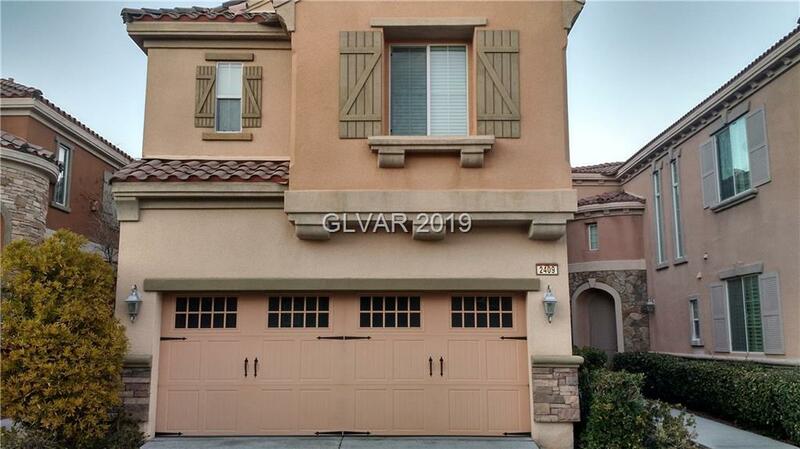 Beautiful Guard-Gated community in Summerlin-easy freeway access, close to shopping, Red Rock Casino, and Downtown Summerlin. 3Bedrooms/2.5 Baths/2Car Garage. Upstairs loft and upstairs laundry facilities. New Floors, Beautiful club amenities. Directions: I215 And Sahara Ave In Summerlin. West On Sahara And First Entrance On Your Right Into Guard Gated Traccia. Guard Will Direct You.